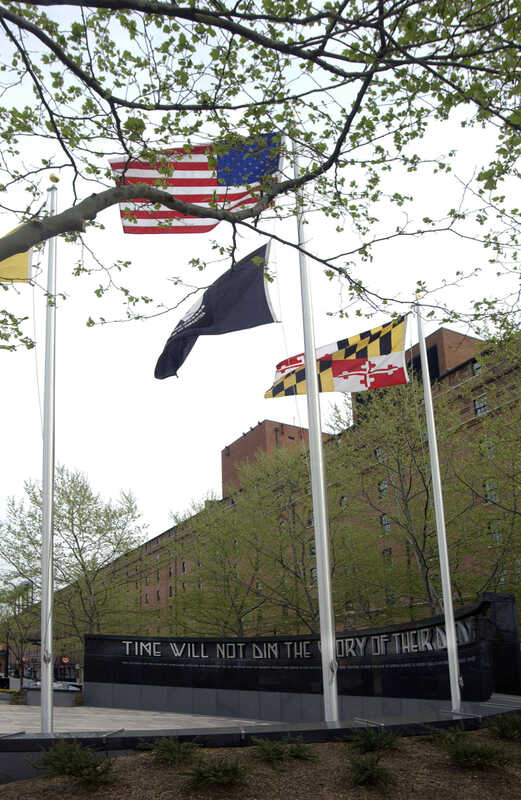 The Maryland Stadium Authority oversaw design and construction of the Veteran's Memorial within the Camden Yards Sports Complex. 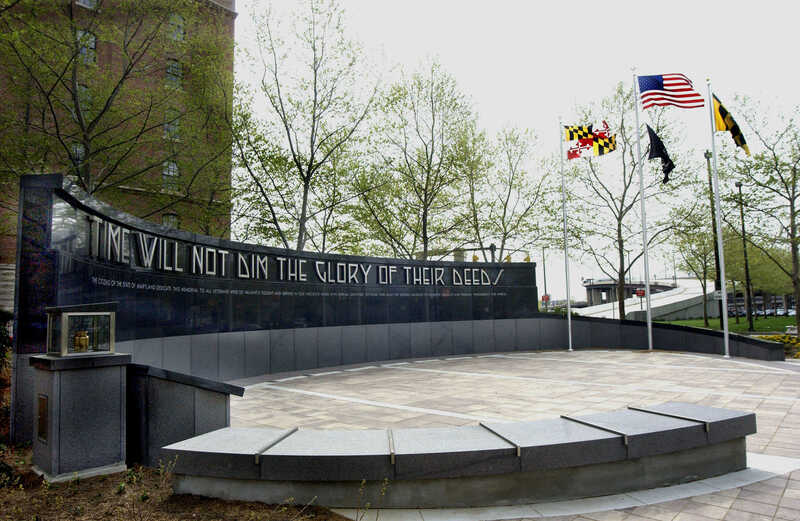 The language on the new memorial incorporates most of the essential wording from the memorial formerly located on Memorial Stadium on 33rd Street but is updated to include veterans of all of our Nation's wars. The creation of this memorial will enable more than four million people each year to view this tribute to our veterans during a game, special event or as a destination itself. This ground-level memorial affords the opportunity for visitors to pause and reflect on the valiant effort and sacrifice made by so many of our brave soldiers to preserve America's freedom. Construction of the new memorial began in September 2002. The ceremonial groundbreaking was held on Veteran's Day, November 11th, 2002 and was completed in Spring 2003. Dedication of the Memorial was held on Memorial Day - May 26th, 2003.